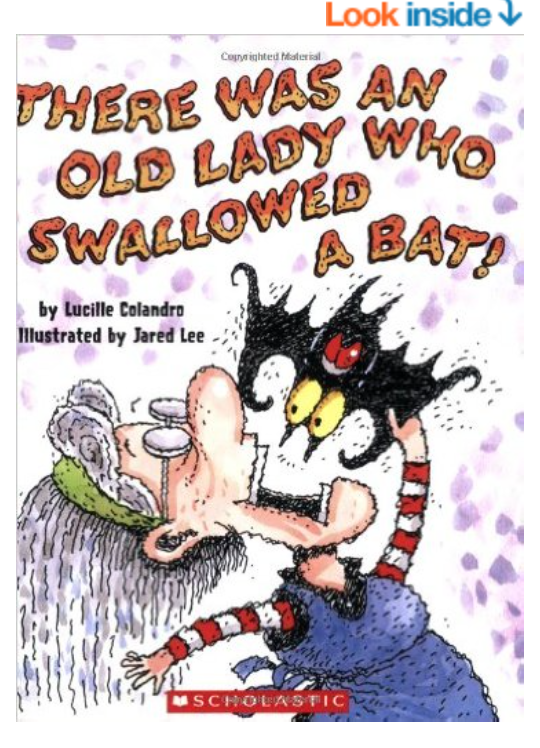 Friday Reads: There Was an Old Lady Who Swallowed a Bat! Synopsis: There is an entire series about this old lady who swallows all sorts of things. This one is themed around Halloween, which makes it clearly the best. She swallows all sorts of things to get that pesky bat! Sing a long as you read! I decided to mix things up a bit and review a book that’s an old family favorite. Why? Because it’s Halloween, which is one of the two best holidays of the year! (The other being Christmas.) Sometimes we want to share our love of the darker holiday with our small children, but not in a super scary way. Maybe we just want to show kids that everything is not so scary after all. I don’t know what your plans are this holiday, but my plans always heavily center around the awesome that is Halloween! It’s quick, it’s fun, and it makes for a great seasonal read! You can even get it on Amazon, and with Prime it’ll be on your doorstep before Halloween. You really won’t be sorry, and hopefully your own little ghost, goblin, or vampire will love it as much as we still do. Remember, it’s never too early to start reading to your wee ones. Instill a love of reading early on and it will grow into a love of reading and a lifetime of adventures for your child!